Made this today and it was stunning! I made it as directed but upped the cinnamon to 3/4 tsp, and it was perfect. Feels decadent for a Thursday morning. Thank you! Have this cooking right now and upped the cinnamon to 1 tsp, so we’ll see. Cinnamon is so good for you! 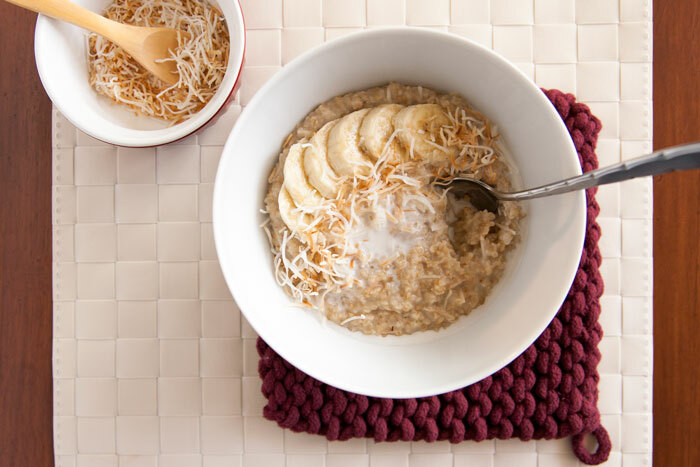 Bought steel cut oats tonight in anticipation of making this tomorrow AM. I have to think it can’t be that healthy with full fat coconut milk, but hopefully the sugar content is a little lower. Will report back tomorrow after making. Thanks for your comment – I know lots of people have heard their whole lives that coconut milk isn’t healthy, but nutrition research is evolving to give us a clearer picture of the effects of different types of dietary fat. And in a remarkable miracle of science, I can provide some very direct evidence in this case: in a study published 2013 in the Journal of Nutrition and Metabolism, researchers compared people who ate porridge made with coconut milk 5x/week vs. porridge made with soy milk. 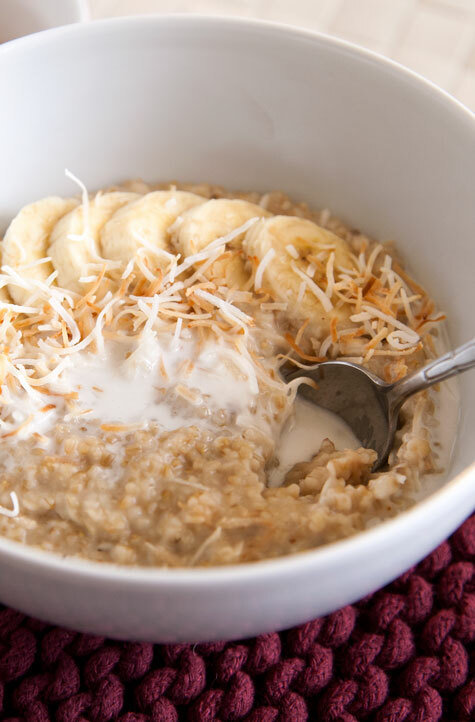 Eating coconut milk porridge was associated with significantly higher HDL (good) cholesterol and lower LDL (bad) cholesterol in subjects who started out with elevated levels. Isn’t that interesting!? That’s great to hear, Mary! Thank you for providing evidence-based feedback :). I appreciate your response. OK, I can’t help rambling a little bit more… I don’t want to suggest that our understanding is definitive. Coconut oil’s qualities are still a topic of debate among experts. But given some of the recent research, I’m inclined to believe that coconut can add healthy variety to the nutrition quality of a balanced plant-focused diet. In some cases, I think science has suffered from efforts to distinguish the effects of nutrients in isolation, failing to understand the emergent qualities of a whole food. And maybe this sounds silly, but intuitively, coconut seems like an obvious natural food source to me; with such dense nutrition and abundance in the tropical habitats, I just imagine the human population should have evolved to take advantage. I agree with coconut. Milk, cream, meaty part; all are very healthy. The southern part of India use coconut based food and coconut oil for everything as coastline is great for growing coconut. Most of the rural and coastline folks do not have high cholesterol and heart disease is not a common disease with them. Mary, you’re right. Many of recent studies focus on this topic. Study published in 2015 (Experimental and Therapeutic Medicine) proved antistress and antioxidant effects of virgin coconut oil (study with mouse). Of course if you overuse – it can be unhealthy but Meghan don’t be afraid to use coconut oil. 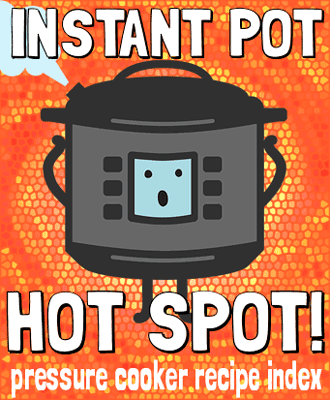 I have an Instant Pot and LOVE it. Put my steel cut oats on, go do my yoga and breakfast is ready! I showed my kids my Instant Pot and they both went out and bought one! There is even an Instant Pot community on Facebook that has a lot of recipes and suggestions. This was so good we had it for dessert my 75 year old hubby loved it and was very happy to know there is enough for a breakfast or two depending on how much he eats. Our son who is disabled and lives with us said it was the best dessert I have made in a long time. Obviously a hit with us thanks so much for sharing this! I’ve eaten this for dessert too! It’s almost like a rice pudding. can i also use rolled oats instead of steel cut oats? I can’t wait to try this. I just got my instant pot last week. Do you think Bob’s Red Mill Scottish oats (partially ground steel cut) would require a similar cooking time? Hope you’re having fun with your new toy! Yup, probably very similar cooking time, I don’t think 2 minutes under pressure will have any ill effects. NO ONE NEEDS TO CONSUME BROWN SUGAR! Youre such a hack! There is no sound nutritional value in anything you write! This is probably another Big Ag blog trying to persuade people to consume crap food. OK, seriously? 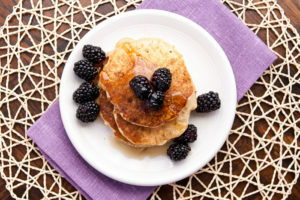 I describe this recipe as “indulgent,” and it has 1.5 teaspoons of added sugar per serving. Please take a chill pill. 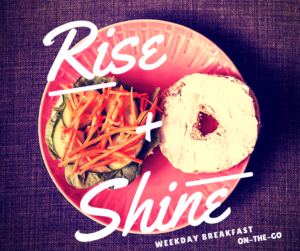 Thank you for the wonderful and thoughtful blog for a fun breakfast variety! Don’t let the trolls get you down! Aw, thanks Allison! Never gonna please everybody. Variety is so important, along with balance and moderation! Wow! That was really harsh! Take a deep breath! Truth….Sounds like you may need a little more sweetness in your life. For goodness sakes, manners will never be out of fashion and good, sound nutrition for the soul. Try it! Wow! Consuming brown sugar must cause random bouts of being an A-hole. No wonder you are so sensitive to his personal struggle. Maybe I was terse – this was one of several hostile comments from the same anonymous visitor – but I don’t really feel that food shaming should be tolerated, and I thought it should be said that the aggression would best be taken down a notch. But I suppose a personal struggle to engage in civil discussion without personally attacking those who take time to share the occasional festive breakfast recipe, is a struggle nonetheless. Next time I’ll focus on compassion. If I had more patience at the time, I probably would have 1) advocated for focusing on total dietary pattern rather than targeting specific nutrients or foods, which can all be a source of joy within a healthy pattern in moderation, 2) considered that sugar’s typical insulin/glucose spike could be somewhat softened in this recipe, because including both fiber and fat in the same meal are associated with delayed gastric emptying, and 3) pointed out that the offending ingredient could certainly be omitted if desired. I’m making it this morning and substituting raw local honey. I didn’t have any brown sugar. She was not being an “a-hole” in the slightest. If someone starts off their comment with, “You’re such a hack!” I think she is justified in getting angry. That person had no right to “speak” to her that way. She doesn’t have to answer to anyone. If you don’t want to use brown sugar, sub in something else, there’s no need for name calling and insults. It was uncalled for and childish. Excited to try this! Is this a make and serve or do you think it would keep for a few days ? One of my favorite things about steel-cut oats is how well they reheat! I usually just add an extra splash of milk (or almond milk, etc.) when I microwave a portion, to help re-loosen the texture. This may be a ridiculous question, but I’ve just recently started using cinnamon sticks as opposed to ground cinnamon, but have always ground them for recipes. Is that necessary or will they “dissolve” if I just toss it in? They don’t dissolve, but they do infuse their flavor into the liquid. Then you can pick out the piece after cooking, like you would with a bay leaf! New to the instant pot, and am making my first steel cut oats. When the beeper goes off after it has cooked 3 minutes, do I just leave it or do I hit cancel? I know it has to release pressure naturally, but will it do that when on keep warm mode? thanks! Very good question! Keep-warm mode does not affect the time needed for pressure release – by the time the pot cools enough for the warming element to turn back on, the pressure will already be low enough for the valve to open naturally. It’s interesting Rina asked that question about “cancel/keep warm” button and turning the IP off for the natural release — I’ve had my cooker for several months and have wondered the same thing! This recipe is absolutely divine. 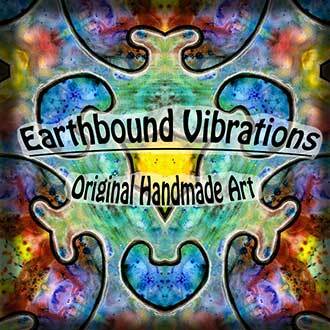 I’ve made it several times and it’s one of our favorites! I doubled the recipe this morning so we could have some left over…:) p.s. a dash or two of cardamom is excellent in this as well. Thank you for sharing this recipe!! I’ve never ever cooked or eaten steel cut oats but I want to try these out for my baby. I will make the pancakes for sure but is freezing the leftover oatmeal an option? Go for it! I hear lots of people freeze cooked steel-cut oats with good results. You can flash-freeze portions in muffin tins, then store in a freezer bag. I’ve been making this for a few weeks now, and wanted to try doubling it. I know pressure cooker recipes can sometimes be tricky to double, though. Is there anything to adjust on this one or just double everything? Thanks for your help! I haven’t tried it myself, but the cook time should be the same… I would feel confident just doubling up! Mary – Thanks for the recipe. Also, thank you for responding to all of your commenters in such a kind, informative way. I learned so much just from reading your responses! You really are very good at what you do. Thanks for sharing your gift with us! Tricia, thank you for your very kind words!! I’m just obsessed with these kinds of things, and happy I’ve found a way to connect with likeminded people – always hungry to learn more! Sounds delicious!! I’ve only tried this with coconut and almond milk, but I imagine most nut milks would give a similar result. If any readers have tried, please let us know! I can’t find unsweetened coconut, can I use the regular sweetened kind? It will make the recipe a little more candy-like. If I had to use sweetened coconut, I wouldn’t add any sugar to the oats. This is my first time using my instant pot. Do I put water under the inner pot and then the pot on a trivet? This recipe is written to cook the oats directly in the inner pot, but I hear you can also do a “pot in pot” method, which would mean putting water (at least 1 cup) INSIDE the inner pot, then using a trivet to elevate another vessel (eg. Pyrex bowl) containing the oat mixture. That has never happened to me, interesting! Glad you got it to work out. Your oats could be ground finer or coarser than average… you can adjust your liquid down in the next batch, but on the spot, you can also turn on slow-cook after you open the lid to cook off extra liquid. I have a question. I bought Native Forest Organic Coconut Milk. When u say 1 cup of coconut milk are you referring to straight out of the can or 1 cup after the product is mixed with water? Is that a dehydrated powder? If so, you’ll want 1 cup of the final liquid mixture. I used the regular grocery-aisle canned stuff. I used about 1/3 can of full fat coconut milk and 2 cups of almond milk. I also toasted the oats with coconut oil for a few minutes. 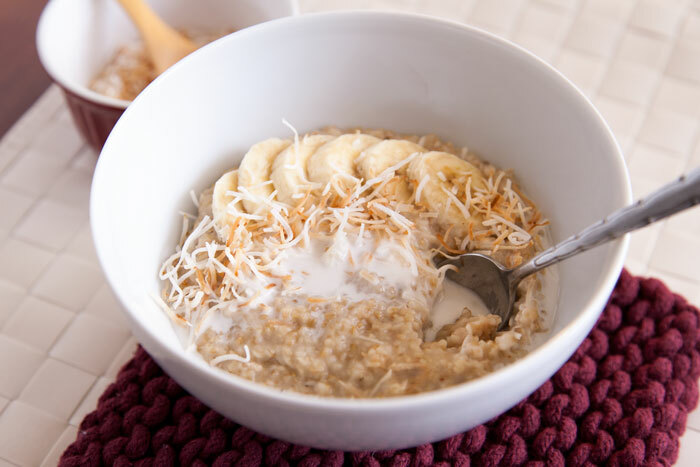 This is the best of all the oatmeal recipes that I have tried!